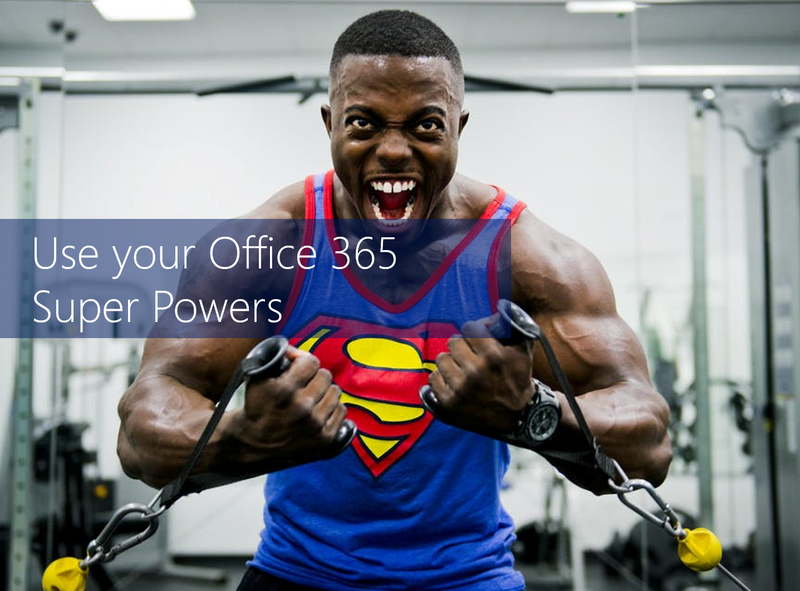 #Office365Challenge I’m all about empowering people, call me a Micro”Softie” if you like. I also have a thing for super heroes, so when I take a look at Microsoft’s approach around enabling users of Office 365 – I’m super happy. In this post I’ll share some of the great superpowers with you. Today, we are releasing Office Training Roadmaps to help your company set training expectations and track progress for six Office apps. The training roadmaps help you quickly find what you need to learn and are available both online and as printable posters for Office 365, Excel, Outlook, PowerPoint, Word and Access 2016. With our modern-day mobile workforce, more and more employees are working from home and on the go. We’ve become accustomed to hosting online meetings and collaborating in the cloud. To help expand the digital capabilities of your team, join us for our Office 365 live demo webinar series. These free 30-minute live webinars show how you and your remote teams can work smarter and more efficiently using Office 365 apps. Track your Office knowledge and skills with these downloadable PDFs. Rock on Peeps and Geeks – Have a super weekend & please share these #SuperPowers with other #SuperHeroes. Thank you Microsoft for enabling us. Overview of my challenge: As an absolute lover of all things Microsoft, I’ve decided to undertake the challenge, of writing a blog every single day, for the 365 days. Crazy, I know. And I’ll try my best, but if I cannot find something good to say about Office 365 and the Tools it includes for 365 days, I’m changing my profession. So let’s write this epic tale of “Around the Office in 365 Days”. My ode to Microsoft Office 365.